Tischler Designs is a boutique joinery and furniture company owned and run by Marco and Riley Hofer. Having completed his training and earned a wealth of experience in his home town of Bolzano, Italy, Marco’s knowledge and craftsmanship across a multiple of different materials and applications is second to none. Dedicated to creating beautiful cabinetry and furniture for residential and commercial spaces across Melbourne, Tischler Designs proudly manufactures custom-made pieces in their workshop in Williamstown. Damco Kitchens is a Customer Centric company who continuously innovates to keep abreast with our customer’s needs and choices. Damco Kitchens Melbourne is not just any kitchen company but a perfect one stop shop catering to full range of all products and services. The team at Damco Kitchens is excited to help. We provide award winning designs at a very affordable price. We also make the kitchen renovation process very simple and easy. We are proficient in making custom made designer kitchens that will maximise the use of the current space of your home. Over the last 30 years, Green Isle have been designing and building wardrobes, bookcases and entertainment units in Melbourne, with particular expertise in period style homes. We are a bespoke custom kitchen designer and manufacturer based in Melbourne. Our aim is to bring creativity, efficiency and well-being into your home by tailor making the space to suit your needs. Pro Sculpt is a boutique business run by Joiner and Sculptor Matt Staples specialising in custom cabinetry and furniture for Residential and Corporate clients Our reputation is built on working with our clients to help them achieve the results and designs they desire. Matt brings creativity along with fine craftsmanship to every project. We have our own factory and a team of trusted and skilled tradesman we call on to ensure your project runs smoothly. In 2018 we worked with Designer Danielle Brustman to create her Interior display for the Rigg Design at the National Gallery of Victoria. In 2019 we have built a Coffee table for Designer Danielle Brustman that will appear at the Milan Contemporary Furniture Fair in Milan, Italy. Our work has been featured in the Design Files, Architecture AU, Grazia Magazine, Vogue and Dezeen. Pride, Quality and Communication is our main objective which creates a smooth transition of purchasing that new kitchen or entertainment unit! We at AKL Improvement Services understand that we are all unique with individual preferences and styles. We design and manufacture customised Kitchens, bathrooms, laundries, wardrobes and furniture that will suit your everyday living. With years of experience in cabinet making, we are equipped to give you the best value according to your taste and style. We make the time to listen and take professional care to make your home – Your Home!! AKL Improvement Services can warm up your home during those cold winter nights with the right fire place, along with custom made wall and entertainment units that will give your fire place that extra special warmth and glow. We have a reliable and professional team of contractors that assist us in making your project a reality. Designers and manufacturers of high quality, custom made furniture. Specializing in Traditional, Period style cabinetry. With over 35 years experience ADT Cabinets are here to guide you right through your project from beginning until satisfying completion. Specializing in Kitchens, Bathrooms, Living Area and Entertainment units, Office Receptions & Fitouts, Shop Fittings and more, we manage your project and supply all the trades you need so that you can relax and thrive in your new surrounds. Versa Robes, built in wardrobes and shower screen specialists of Melbourne prides itself in offering the high level services and quality products from start to finish. We offer a wide range of products for your home or office needs. We specialize in built in wardrobes, frameless shower screens, hinged & sliding doors, walk in wardrobes, semi frameless shower screens, vanity mirrors, shaving cabinets, splashbacks, kitchens, home office designs, book cases, TV units, low line TV cabinets and window tinting (home or office). We have specialist tradesmen for all our products, so you will always have a qualified professional working in your home. Place your order now. Our business services Cabinet Makers, Builders and DIY'ers. We supply all that is required to build your kitchen, laundry, wardrobe, study or storage needs. If you have your own design we can also help with making it a reality. With showrooms in Bayswater and Blackburn, Kitchens by Peter Gill understands that an exceptional kitchen, bathroom, laundry, home office, media room, or indeed any other room of your home design, should combine functionality with style. Since the 1970’s our kitchen designs have been regarded as arguably the finest, not only in Victoria but throughout Australia. That’s why when you choose Kitchens by Peter Gill to design your room, you can be confident you will be dealing with the finest in the industry. 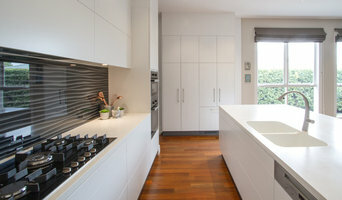 Finewood Designer Kitchens is a Melbourne based, family owned and run business. Specialising in bespoke high-quality kitchens, bathrooms, wardrobes, storage solutions entertainment units and more. With over 15 years’ experience, a strong tradition of pursuing excellence, Finewood Designer Kitchens prides itself on its goal of providing customers with attention to detail, quality products, professional advice and excellent service. With investing in a state of the art CNC machine and the latest computerised 3D software technology, this has assisted us in maximising productivity, ensuring precision and to assist you in visualising your final products. We use manufacturing processes and quality systems to guarantee unrivaled standards and finishes. We have built our reputation on providing personalised and quality service to each of our clients and cater to major Domestic builders, as well as private builders and renovators. 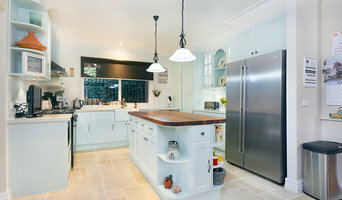 We listen to your needs so together we can achieve a kitchen that best reflects your lifestyle as well as your budget. Joinery and cabinet makers are mostly known for their work in kitchens and bathrooms, but their skill set goes much further than that. It is important to understand the difference between carpenters and cabinet makers, which lies in the detail of work. Carpenters tend to work on larger structural projects and this is why many become builders, whereas cabinet makers are masters when it comes to the finer detail. 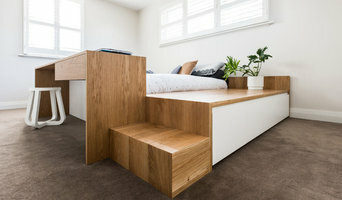 So if you’re looking for detailed woodwork like custom-made furniture for your living room or smart storage solutions, you’ll be sure to find a Craigieburn, Victoria cabinetry expert in the Houzz directory of professionals. What Do Craigieburn, Victoria Joinery and Cabinet Makers Do? If you know what you want and are ready to take the next step, scroll through this page to find joinery and cabinet makers in Craigieburn, Victoria. As mentioned, you can browse their latest projects, read reviews and see how other homeowners rate their work, and message them directly. You can also look through Photos to find examples of joinery you like, then contact the professional who worked on them.